Beware of the ‘Floyd Mayweather In Trouble After Authorities Find Pill Bottles In His Locker’ scam which is currently circulating the web. 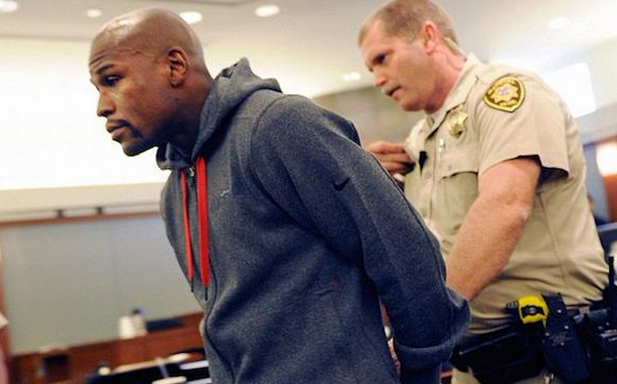 The claims that Floyd Mayweather has been arrested after authorities would have found ‘EliteTest360’ pills in his locker. The claims are fake, and the site which is sharing this news has only been setup to generate revenue from unaware internet users. The ‘Floyd Mayweather In Trouble After Authorities Find Pill Bottles In His Locker’ scam is currently hosted on worthyshare.net and it is extremely advertising the ‘EliteTest360’ pills. Actual text from the scam website: EliteTest360 has been banned by many sports federations, the World Boxing Association being one of them. Although EliteTest360 is legal and causes no side effects, it is still banned by many sports authorities because it gives athletes an unfair advantage by greatly reducing the amount of time and effort required to build muscle. EliteTest360 is the one benefiting from this accidental celebrity endorsement, and it has decided to take full advantage of this controversial situation by giving away free bottles until Thursday, September 17th, 2015 or until they run out of supplies. Once a link is clicked on the malicious ‘Floyd Mayweather In Trouble After Authorities Find Pill Bottles In His Locker’ scam site, the user will be forwarded to an malicious survey which will demand various personal and financial data of the unaware user.